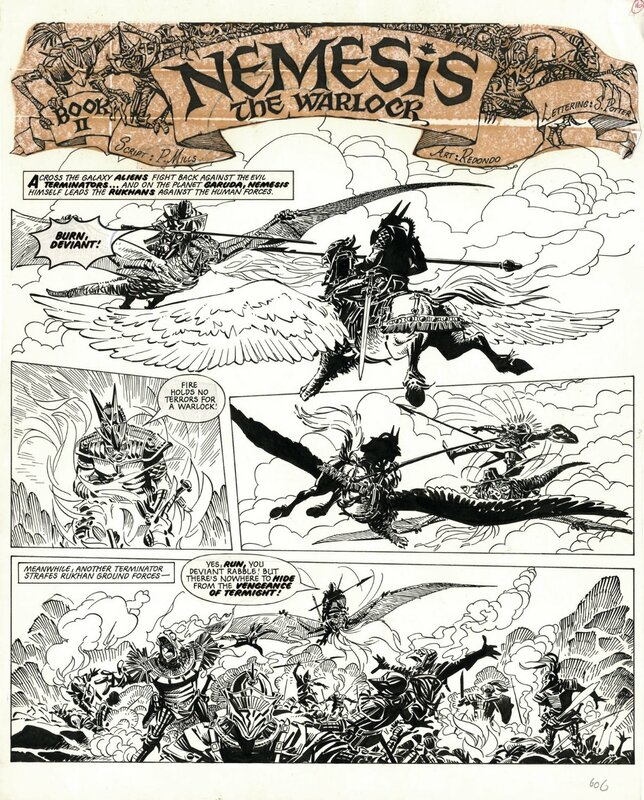 Lovely opening page form Nemesis the Warlock Bk. 2, from 2000ad Prog 249, 30 January 1982 by comics master, Jesus Redondo, written by Pat Mills. Great shots of Nemesis in battle against the Termight terminators! Art on heavy card, 37 X 45 cm.